Jeffrey Pfeffer has published extensively in the fields of organization theory and human resource management. 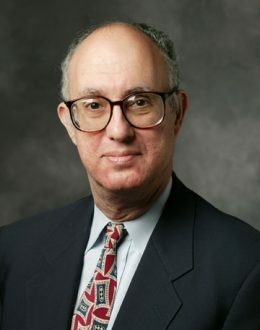 His current research focuses on the relationship between time and money, power and leadership in organizations, economics language and assumptions and their effects on management practice, how social science theories become self-fulfilling, barriers to turning knowledge into action and how to overcome them, and evidence-based management—what it is, barriers to its use, and how to implement it. Jeffrey Pfeffer received his BS and MS from Carnegie Mellon University and his PhD from Stanford. After teaching at the University of Illinois and the University of California, Berkeley, he joined the Stanford faculty in 1979. He has been the Thomas Henry Carroll-Ford Foundation Visiting Professor of Business Administration at the Harvard Business School and more recently was the Tommie Goh Visiting Professor of Entrepreneurship at Singapore Management University, an Advanced Institute of Management Fellow at the London Business School, and a visiting professor at IESE in Barcelona. Pfeffer is the author or coauthor of 14 books including The External Control of Organizations: A Resource-Dependence Perspective, Managing with Power, The Knowing-Doing Gap, The Human Equation: Building Profits by Putting People First, Hard Facts, Dangerous Half-Truths, and Total Nonsense: Profiting from Evidence-Based Management, and What Were They Thinking? Unconventional Wisdom About Management as well as more than 150 articles and book chapters. Pfeffer’s research has focused on the sources and use of power in organizations, human resource management, leadership, turning knowledge into action, organizational labor markets and pay practices including the causes and consequences of wage inequality, the relationship between organizations and their environments, organizational design and structure, how social science theories become self-fulfilling, economics language and assumptions and their effects on management practice, and most recently, the mental accounting for time and money and how this mental accounting affects decisions about time use. Pfeffer has taught the core course in organizational behavior and human resource management and currently teaches a second-year elective, The Paths to Power. A talented lecturer, he has taught executive seminars in 38 countries throughout the world in addition to lecturing in management development programs for various companies, associations, and universities in the United States. Pfeffer currently writes a semi-monthly column for Fortune (Fortune.com) and a column for CEIBS Business Review (China). Pfeffer wrote a monthly column (2003-2007), “The Human Factor,” for the 600,000-circulation business magazine, Business 2.0. Jeffrey Pfeffer has won the Richard D. Irwin Award presented by the Academy of Management for scholarly contributions to management and numerous awards for his articles and books. He is listed in the top 25 management thinkers by Thinkers 50, and as one of the Most Influential HR International Thinkers by HR Magazine. In November, 2011, he was presented with an honorary doctorate degree from Tilburg University in The Netherlands.